Special woven fabric for improved control and dirt resistance. 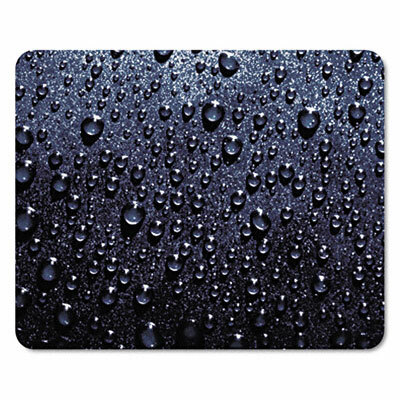 This mouse pad features raindrop images so real, you have to touch them to be sure. Special woven fabric improves mouse control and keeps your track ball from collecting dirt. TechGrip Surface™ base holds the pad in place, making slippage a thing of the past.